Walking amongst the 5000 year old structures of the Giza Plateau is truly a humbling experience. 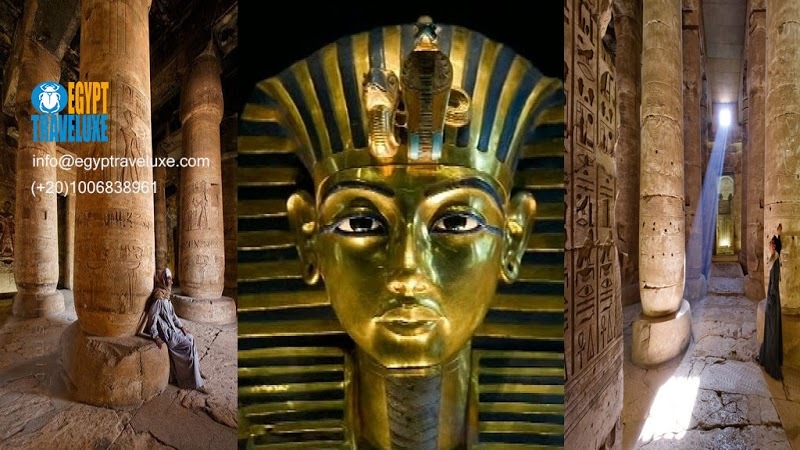 This ancient burial ground of the great pharaohs of ancient Egypt have stood the test of time and truly the last remaining Seven Wonders of the Ancient World. The massive Great Pyramid stands almost 760 feet tall and was the tallest structure in the world until the 19 century. 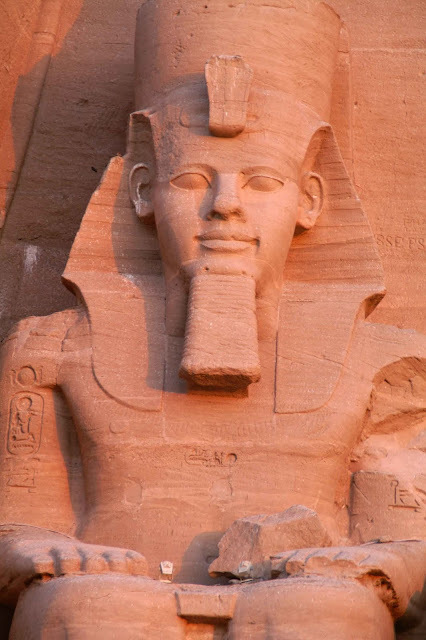 This monument to the Pharaoh Korfu is estimated to contain over two million blocks weighing an average of 2.5 tonnes is an engineering masterpiece. 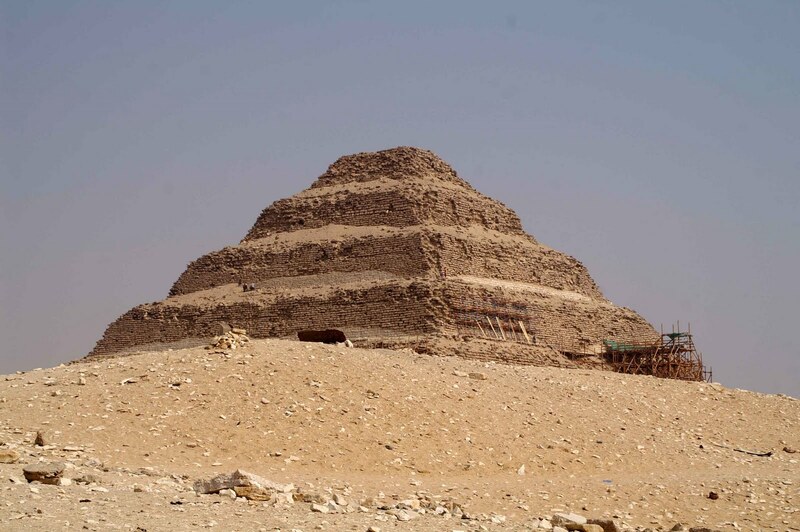 Next to this pyramid is the pyramid of Khafre son of Khofu, slightly smaller but still has some of the polished limestone at the apex of the pyramid. 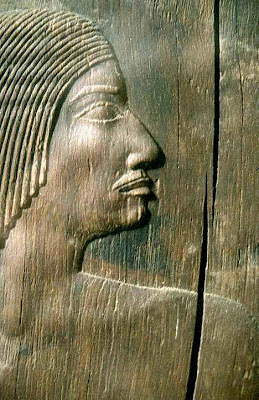 Flanked by a smaller one for the grandson of Khofu, Menkaure. 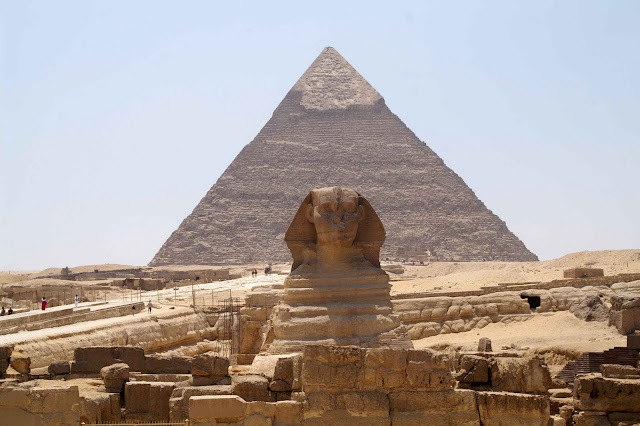 We were fortunate enough to be able to enter the Pyramid of Khafre and climb through a narrow shaft to the burial chamber in the center of this solid stone structure. 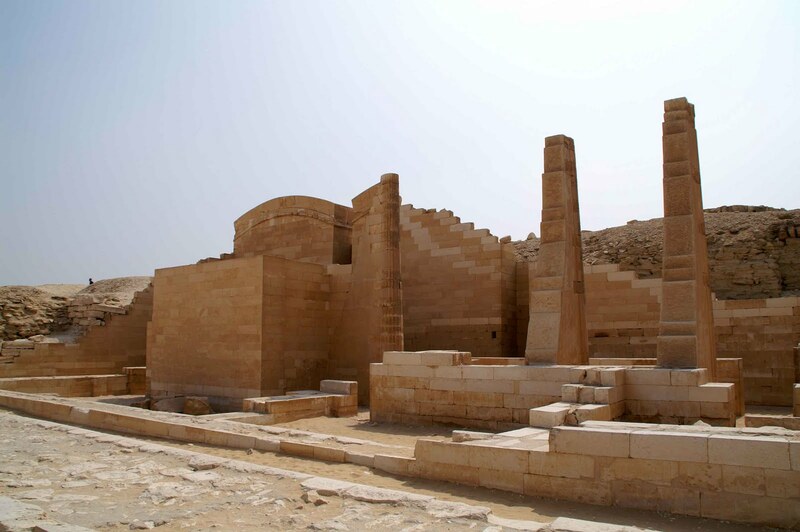 The entire Giza Plateau area is covered with smaller monuments and tombs dedicated to the wives of the three great pharaohs for whom they were built. 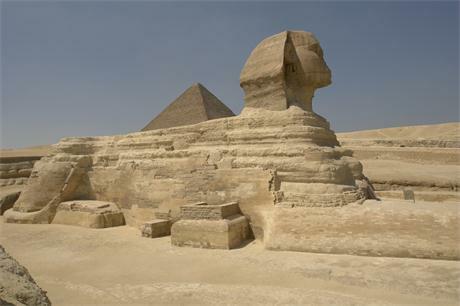 But most notable is the amazing Sphinx, which is the earliest known monument of sculpture in ancient Egypt. 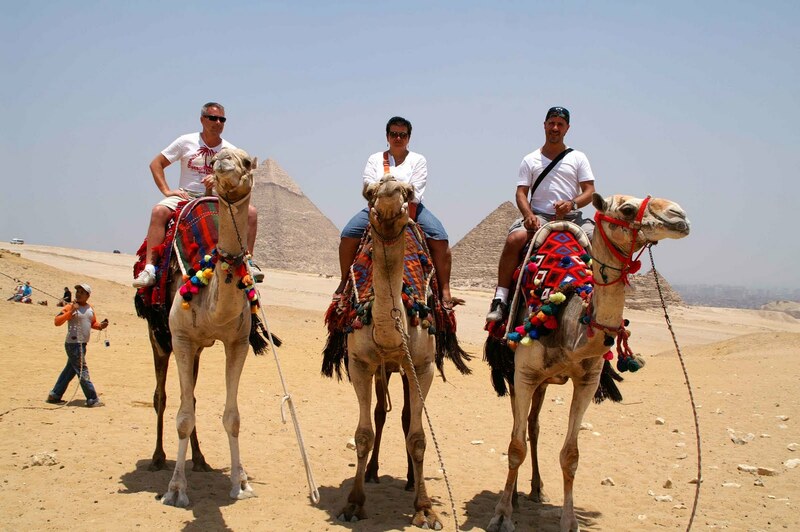 And of course our visit to this amazing land of Egypt would not be complete without a camel ride around the pyramids. We also ventured to the area called Saqqara, which is one of the richest archaeological sites in all of Egypt to visit the amazing step pyramid. 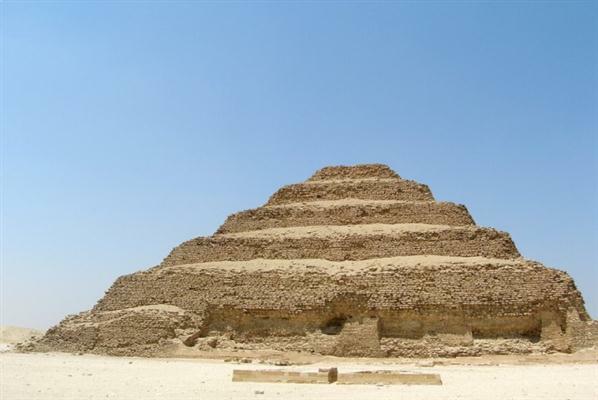 This step pyramid was built for the ruler King Dojeser in 27 century BC. 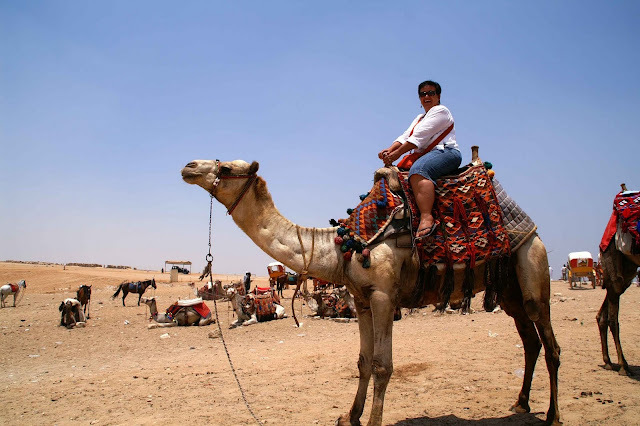 After a chaotic road trip through the maniac streets of Cairo we made our way to the train station and boarded an overnight train down the Nile to Aswan. We soon discovered that an overnight sleeper train in Egypt is much different that the ones in Europe. 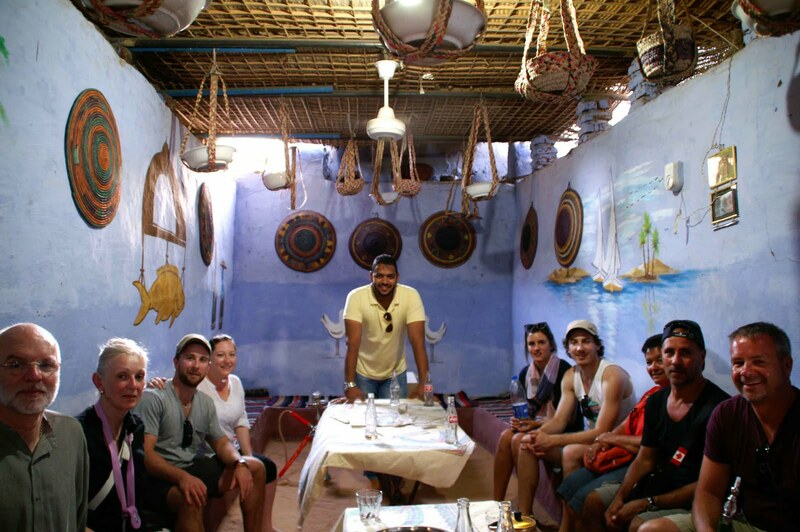 But it was a great adventure and we arrived safe and sound and to our tour guide’s surprise even on time. In Aswan we checked into our floating hotel SemiRamses 1, a first class Nile river boat with views from every room and an amazing roof top deck with a pool. 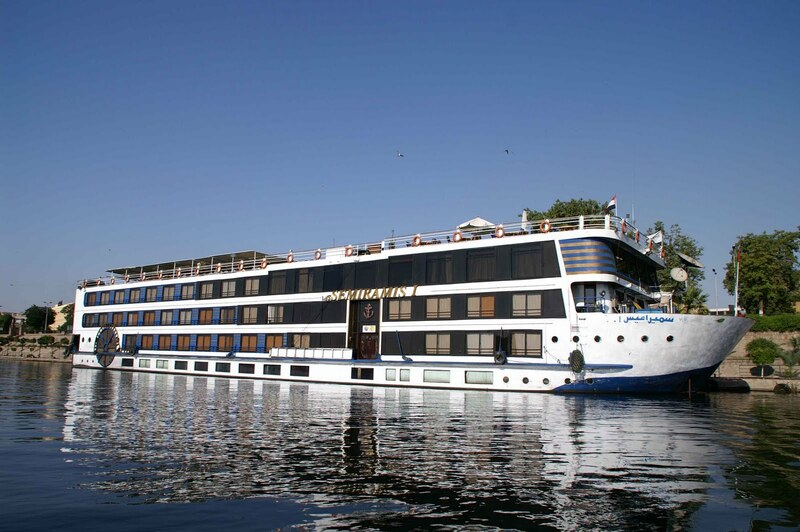 This is to be hour home for the next four days, life is tough. 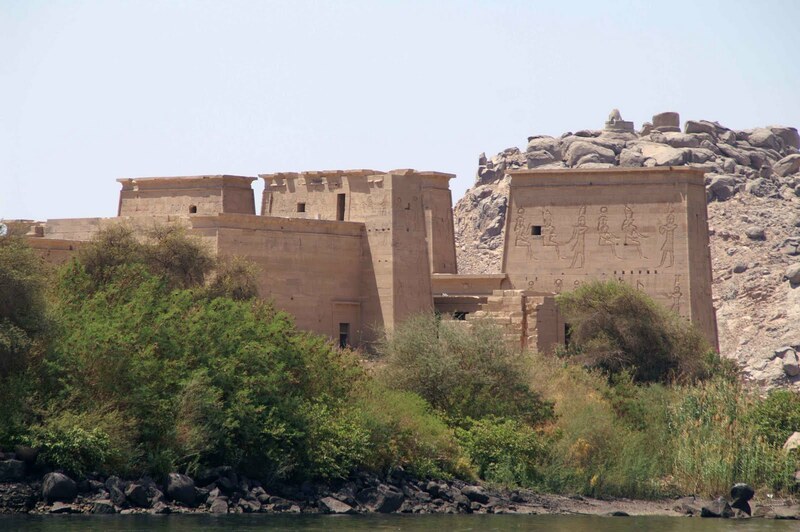 Aswan is Egypt’s southern most city and situated at the base of the two great dams of the Nile, the Aswan Dam and the High Dam (3rd largest in the world). 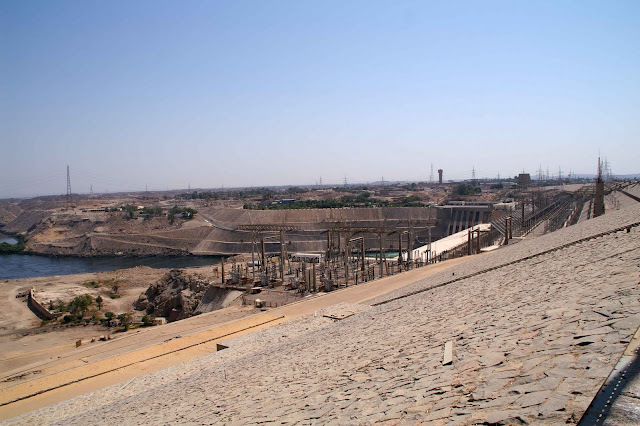 The smaller dam the Aswan dam built in 1902 and the much larger High Dam was built in 1971 were built to regulate the flow of the Nile to control the annual floods and provide the country with power. 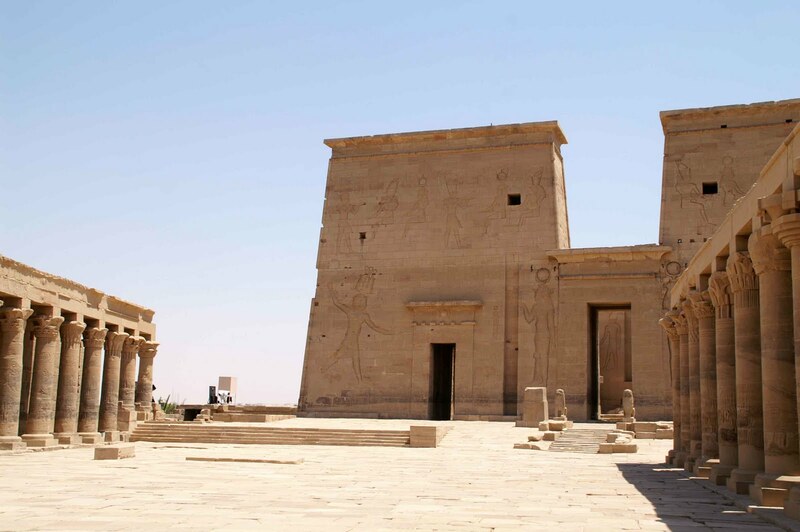 These two great dams created the massive Lake Nasser which reaches far into the Sudan, but flooded great historical sites in its making. One of these historical sites was the Temple of Philae, which was moved in its entirety just prior to the opening of the dams to a new location 200 meters to the east on higher ground. 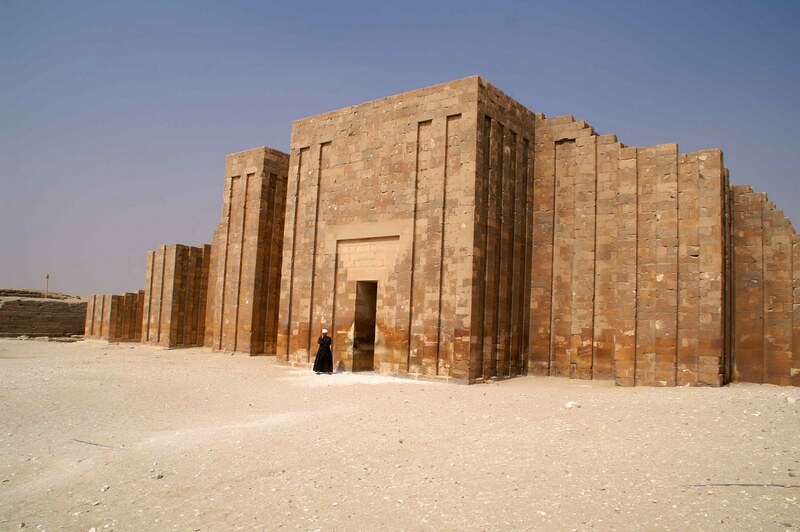 This massive temple dedicated to the cult of Isis has both Ancient Egyptian and Roman-Greco influences, with massive columns built around a pylon styled temple. 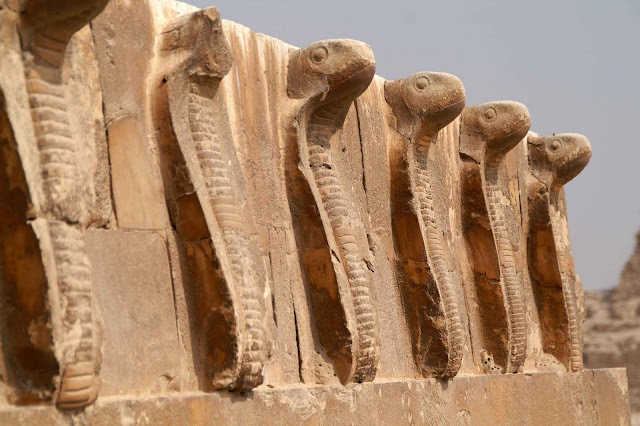 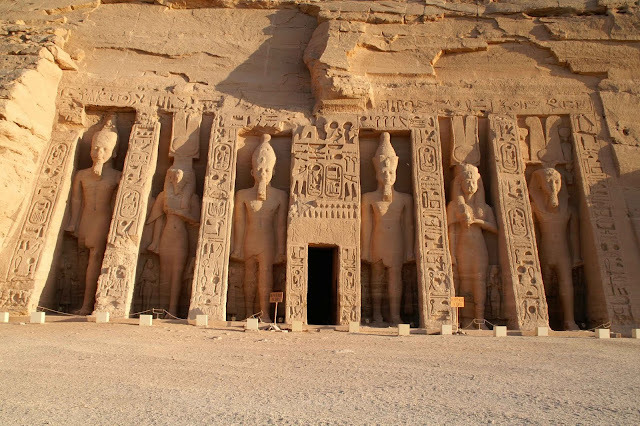 Here we explored through the site and viewed the countless hieroglyphs, viewed the delicate carved sandstone walls and stood in awe at the colors still visible on some of the carvings. The land between Aswan and the country of Sudan is the land of the Nubian people. 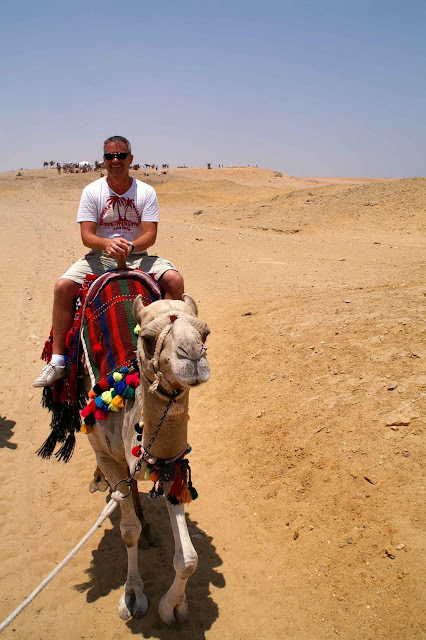 Here were fortunate enough to have visited a Nubian village with its brightly colored homes and camels on the streets. 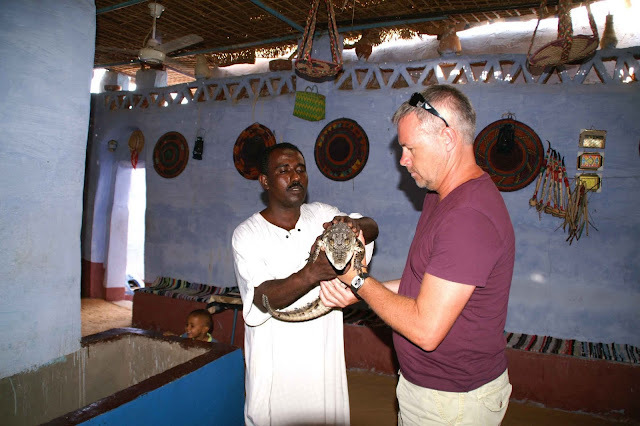 We spent some time inside a Nubian home with its stuffed crocodile over the door, sand floor and of course the pet baby crocodiles in the middle of the house. We had tea, smoked a sheesha, got tattoos and held the crocodile. 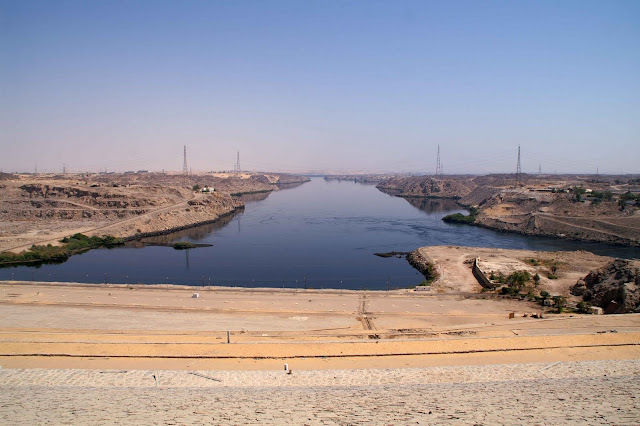 And the day ended with a cruise down the Nile on the roof of a small boat at sunset, viewing the palm trees and sand dunes reach down to this great river, could life get any better. And life did get better, the next day we were at the amazing temple of Abu Simbel at sunrise. After a 3:30 wake-up call we were on a 5:00 am #flight to the southernmost point of Lake Nasser, to view the sunrise over the dessert. 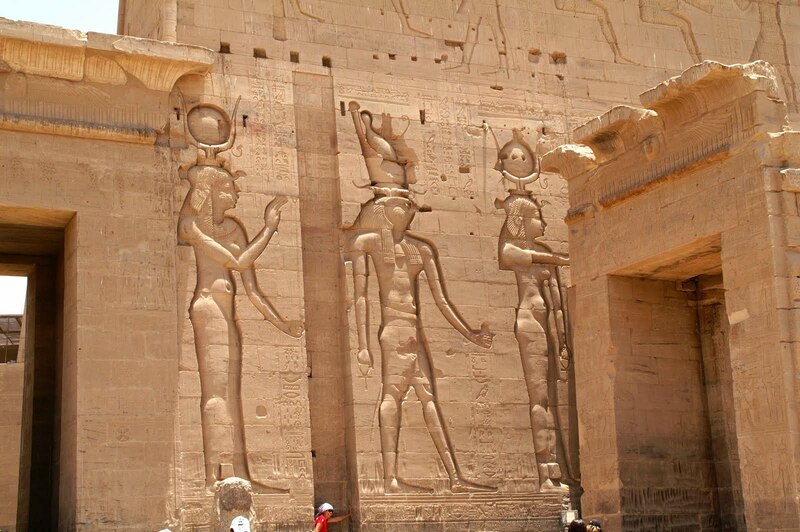 The early rise was well worth it as the massive statues at the entrance to the Temple are breathtaking. 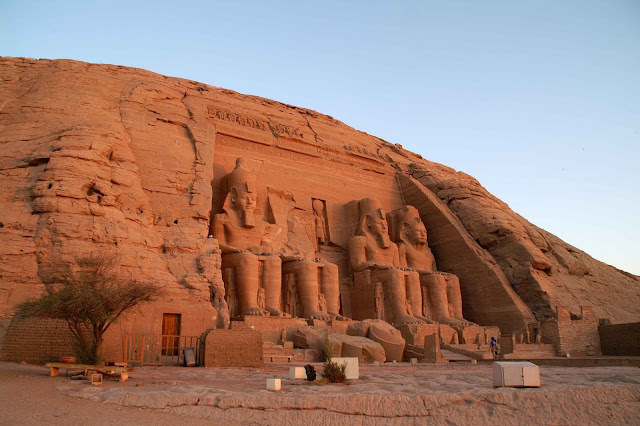 The great Temple of Abu Simbel and the smaller Temple of Hathor were built to honor Ramses II and his wife Nefertari in 13 BC. 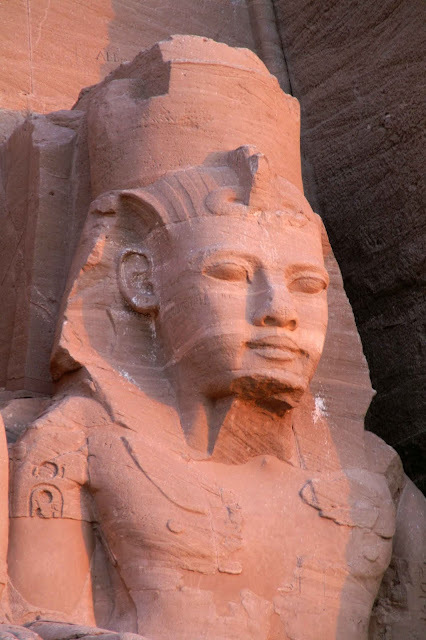 The four large colossal statues of Ramses seated in different stages of his life create the facade to an amazing temple. 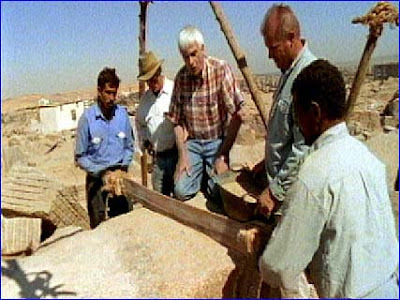 This temple and adjoining mountain had to be moved for the creation of the High Dam and the entire site was moved in 1960 to higher ground. This Temple was designed to impress as well as frighten the enemies coming up the Nile into Egypt, and it is still doing that today.